A traditional Spanish tomato sauce that is often made with annatto seeds sautéed in pork fat or olive oil before being added to other ingredients. Included with the seeds may be any of the following: coriander, green peppers, garlic, onion, olive oil, and other seasonings, such as salt, pepper, and paprika. 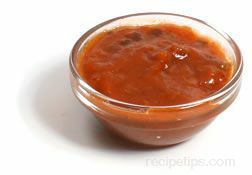 As the sauce cooks slowly it thickens and becomes a flavoring for food dishes with meats, rice, beans, soups, and stews. Sofrito is also used as an ingredient for other sauces. Another spelling of this sauce may be referred to as soffrito.